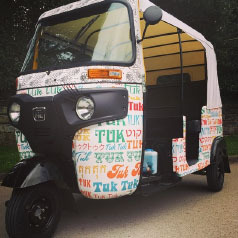 TukTuk UK are keen charity supporters, in fact over 20% of all our profits go to charity. The charity work doesnt stop there! 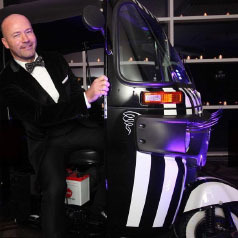 Here at TukTuk UK we love to get involved in all sorts of charities. 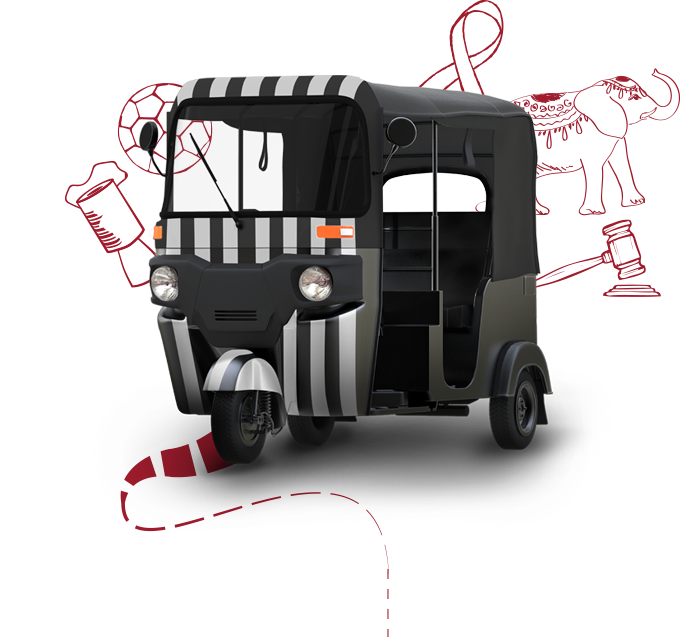 In fact we currently donate over 20% of all our TukTuk profits to charity or discounts on Tuks. 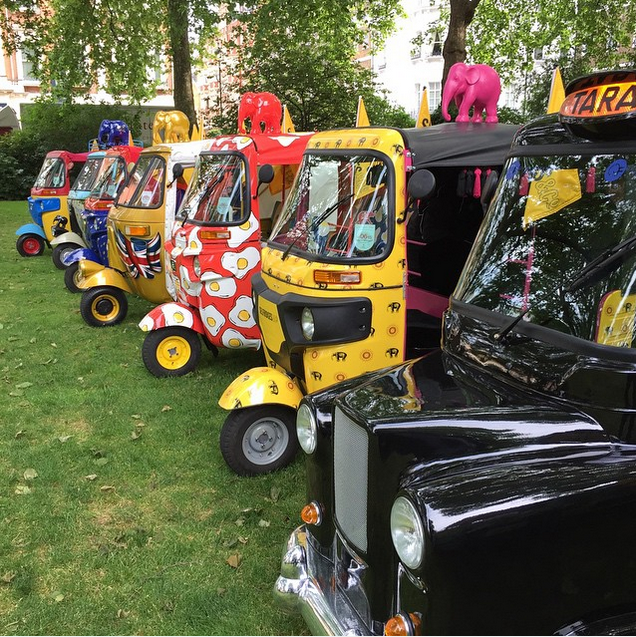 We have a 75 year old travelling around the four corners of the UK, a fleet of Tuks painted by famous artists being auctioned at Lancaster House (www.travelstomyelephant.org) to a Newcastle United branded Tuk..
A TukTuk is a great way of raising money for your charity. You can decorate them in all sorts of ways and then offer them for auction, or just use them as a great branding/marketing vehicle for your chairty. We’ve even got a 75 year old travelling the four corners of the UK for charity. Literally you should never be sTukTuk for ideas!